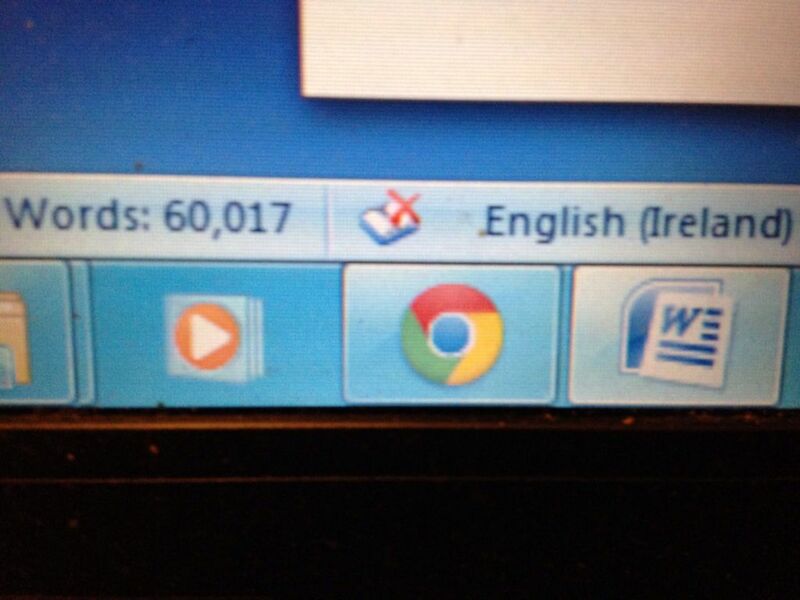 My New Year goal: To reach 60,000 words in the first draft of my novel by Easter Sunday, April 20th 2014. 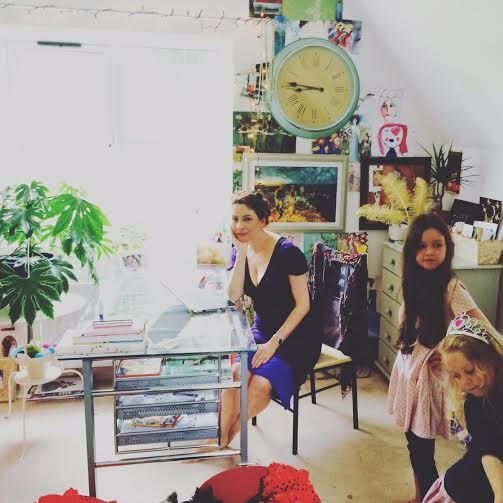 7th-16th February – 3,000 words. Started well but hit a wall. Week starting the 17th of February -Had to go away for the rest of the week at short notice. Looking at the list above I can hardly believe it myself. I know it’s great and I so want to savour it but I find I can’t do that for long. Now if I had failed at my goal or not written at all I could beat myself over it endlessly. Aren’t we awful the way we do that? The way we’re so hard on ourselves. I have to write in the morning only I hate the dark mornings so I never dreamed I’d write so much as I have through January and February. Second I had left a number of difficult parts to one side and now had to actually write them which was bloody hard. Thirdly, while before I wrote very freely I now felt the need to consciously link things up more and became a bit bogged down wading backwards and forwards plus that takes a lot more time. I considered printing the whole thing off but decided against it just yet as I feel that’s going to plunge me into editing and I’m not finished writing yet. Any thoughts on that if you’ve done this already? Fourth, I had some trouble with names. As you know I felt the characters with names that felt right were faring much better. Fifth, I have a habit of choosing the most difficult road possible for everything I do and the book is no different. Instead of writing from the point of view of one character I have several point of view characters across generations and have to go back and forwards in time. As if that wasn’t bad enough two of my characters may be about to switch places as the one I thought was the main one may no longer be. If this sounds confusing you should see it from my side, honestly. In spite of this I feel the book could be read now and make sense…well practically. At one point I considered changing the entire format to make it easier but have decided to keep winging it for the moment, God I hope the format doesn’t need to change! Right now this is what I do. I have a number of scenes I know I have to write so I’ll find their location or as close as possible and without looking forward or back I’ll just write it. If I’m finding it difficult I’ll write as if telling someone about it, I’ll say ‘so what happens here is’…and go on like that. Sometimes that’s all I need to trigger the proper writing as I call it. More and more I find that something I write requires a change or adjustment in an earlier part or even better I find that things unfold as if I knew they would happen, had planned them from when I wrote the first chapters and it all makes sense now, which is mad. Every now and again I feel a bit oppressed by all I have to do yet and the complexities of it but then I look at how far I’ve come or I just go on the attack like I did this weekend. Next up is to just keep going until I know every bit of it is written, I’m so close now. By Easter my first draft will be done and the mornings just keep getting brighter…. You are doing fantastic Jane , sounds so exciting . This is a great post for showing just how much sheer hard work and slog goes on behind the scenes when writing a book. It illustrates the process beautifully. Can’t wait for your “entertaining” post too!! Absolutely! Anyway it suits her down to the ground and thanks again. Re the hard slog you know I’ve been saying to Adrian since I began how I’d never be able to look at a book the same way again! Can you imagine what it must be like for your Game of Thrones guy, sorry can’t think of his name now, George Martin? To keep track of everything! Ah thank you so much Karen and I’m going to take your instruction to heart and put my focus on celebrating for a while just as soon as I get over the exhaustion of today! I’m so impressed. I’ve just started a creative writing course and I am gearing up towards attempting a novel. You are quite an inspiration to me. Can’t wait to read your book! Goal setting is powerful magic Jane. You are teaching your children amazing stuff. And I am thrilled beyond words to know this endeavor is everything you’d hoped it would be. And in the winter to boot! Utterly exciting and inspiring!!! CANNOT WAIT to read it! !